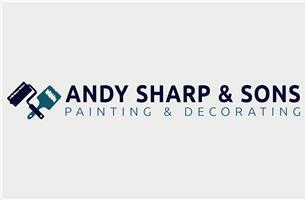 Andy Sharp & Sons Painting & Decorating Services - Painter/Decorator based in Norwich, Norfolk. We are a painting and decorating firm, delivering only the highest level of service. Our expertise is earned from over 30 years of experience in the painting & decorating trade. Specialising in all aspects of interior and exterior painting and decorating, we are experts in door and window stripping & painting, paint spraying and wallpapering. Perfectionists within our craft, we are equally at home with restoration work on older properties. We will always take pride in using our skills to rejuvenate the original details and features of your home. Our promise is to supply the cleanest, most reliable service, with the highest quality finish in the business — always on time and to your agreed deadline. As a family run business we pride ourselves on our fine craftsmanship and your 100% customer satisfaction. We undertake projects for domestic households, offices, schools, event venues, period properties, lettings & estate agents and property developers. NVQ-qualified, CSCS accredited. Public Liability Insurance.